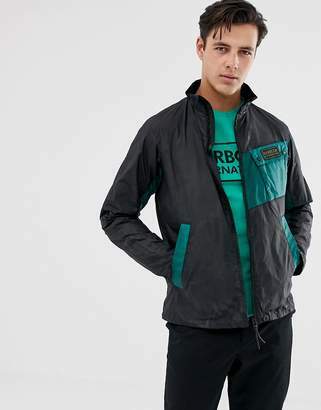 Jacket by Barbour, It'll see you through those tricky transitional months, Stand collar, Colour-block design, Zip fastening, Functional pockets, Regular fit, A standard cut for a classic shape. With a rich heritage dating back to 1894, quintessentially British brand, Barbour have garnered a reputation for quality and durability, across their collection of high performance outerwear. Expanding their country-wear roots, Barbour rework their original cuts in contemporary nylon and leather finishes, whilst the Heritage line champions the brand's signature style with classic quilted jackets sitting alongside the waxed cotton Beadnell.